Davangere (Karnataka), September 3: India’s ace rallyist Gaurav Gill came up with a powerful performance to race ahead of the pack on the opening day of the 10th edition of the Maruti Suzuki Dakshin Dare here on Monday. The Mahindra Adventure driver, along with his trusted co-driver Musa Sherif, was fast and aggressive in all the three special stages of the day, finishing them in 2:25:47 minutes. He was a good 5 minutes faster than his teammate Philippos Matthai (with navigator VVS Moorthy) who came in second after clocking 2:30:19 minutes. 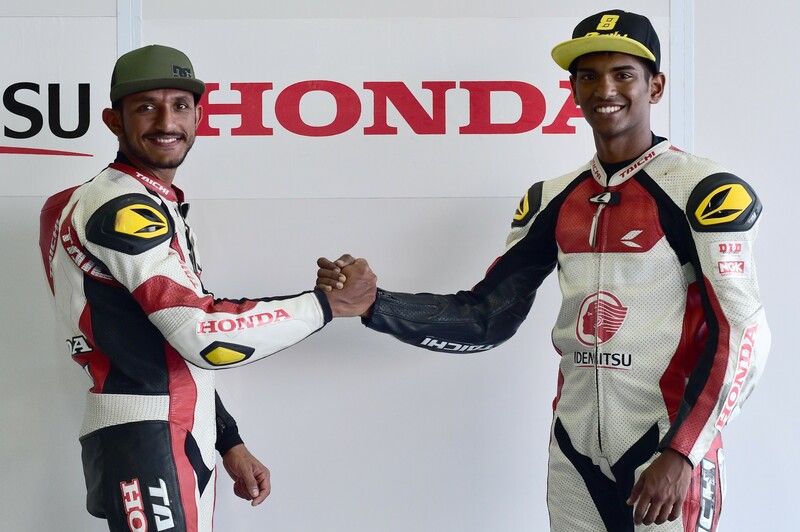 Amittrajit Ghosh (with Ashwin Naik) stayed right behind his Mahindra Adventure teammates by clocking 2:30:24, just 5 seconds more than Philippos. In the two-wheeler category, Yuva Kumar took the opening day’s honours, with a time of 1:43:30. Vishwas SD finished the day second with 1:48:22 while Akash Aithal took the third position with a total time of 1:49:29. The round one of Dakshin Dare saw the car compete in three special special stages (dirt/gravel) with a total distance of 129 kms while the bikers covered a total distance of 86.42 kms for their two special stages. 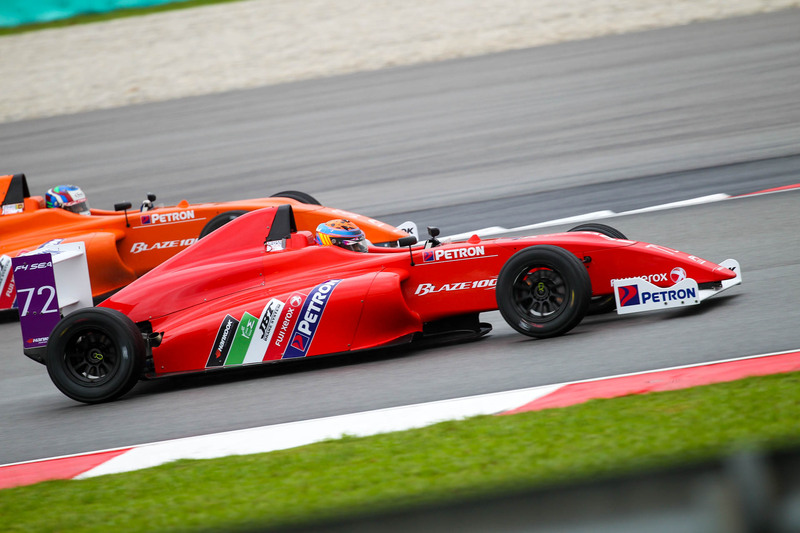 Chennai, September 2: Frenchman Allessandro Ghiretti notched a fine double besides a third-placed finish in the Formula 4 South-East Asia Championship round while UK’s Peter Reynolds won both the Caterham Asia Championship races at the MMRT, here on Sunday. Participating as a guest driver, India’s Vicky Chandhok, racing after 25 years, marked his one-off return to the track by finishing second in both the Caterham races, behind Reynolds. The day, however, belonged to Ghiretti, who, after winning the first race quite comfortably after starting from pole position, won the next outing from eighth on the reverse grid and followed it up with a third-place finish in Race 3, starting sixth and which was won by Malaysia’s Muizz Musyaffa. In Race 1, Ghrietti rocketed off the blocks and after surviving close scrutiny from Shepherd early in the 15-lapper, gradually increased the lead and won virtually untroubled even as the eight-car field spread out. Ghiretti went on to give a repeat performance in Race 2, this time starting eighth on the reverse grid as he literally waltzed his way past the front-runners and by half-way through the 15-lap race, he was firmly in front with Shepherd hot on his heels, but never looking like catching up. The duo finished in that order with Musyaffa coming in a distant third. Musyaffa made amends by winning Race 3 ahead of Ghiretti and Shepherd. Chennai, August 1: A refurbished Madras Motor Race Track is all set for some top-drawer action as it hosts the fourth round of FIM Asia Road Racing Championship commencing Friday, showcasing the cream of two-wheeler racing talent in the region and who are expected to set the circuit alight as in the past with riding skills and dare-devilry worth going miles to watch. A bunch of seasoned campaigners who are no strangers to the MMRT besides a clutch of teenagers will be parading their talent over the weekend in SuperSport 600cc, Asia Production 250cc and the Underbone 150cc categories, alongside two support events, the Idemitsu Honda India Talent Cup (CBR 250, Open) organised by MMSC and the TVS One-Make Championship (Open, Apache R310). 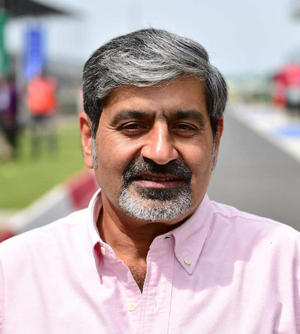 Chennai, July 24: India’s Vicky Chandhok was unanimously re-elected President of the FIA Asia Pacific Rally Championship Working Group for a second two-year term at the annual meeting in Johor, Malaysia, on Monday, July 23. The members present felt that since the APRC was going through many challenges, it needed continuity at the helm, especially with the plans afoot to meet manufacturers in Japan and China. Hai, welcome back to part 3 of Motorsport @ your finger tips. In case you would like to read Part 1 Click here and Part 2 Click here. In this part, we will discuss about various types of licences and how to apply for the same. Please note that all licences are valid till 31st Dec of the year of issue. This is the lowest grade of licence. As already explained in Part 2, the holder of this licence is eligible to take part in various types of events up to and including Open Status. ClubSport Rally – As the name implies this licence is used for events of Road going character. This is issued only to those who have valid Civil Driving Licence. The process is completely online. Visit licence.fmsci.co.in. Read the General Instructions and Upload Digital Documents. Click +download. Download and fill in the Indemnity Form. IF THE APPLICANT IS 18 YEARS AND ABOVE THE INDEMNITY FORM CAN BE SIGNED BY HIM / HER. HOWEVER, IF THE APPLICANT IS A MINOR, THEN THE INDEMNITY FORM TO BE SIGNED BY THE PARENT OR LEGAL GUARDIAN. 2W Racing. How can one apply for 2W Racing Licence. It has the date of event on Column 1, the name of event on Column 2, the status of event on Column 3, the category of event if it 2 or 4 wheelers or both, the city where the event is scheduled to be held and the Organizers contact details for the event. While the date, name etc. is very easy to understand, the STATUS column is important to know the type of licence that is required for you to compete. So in this Part 2 we will discuss about the various Status of events, what it means, the minimum licence requirement etc. 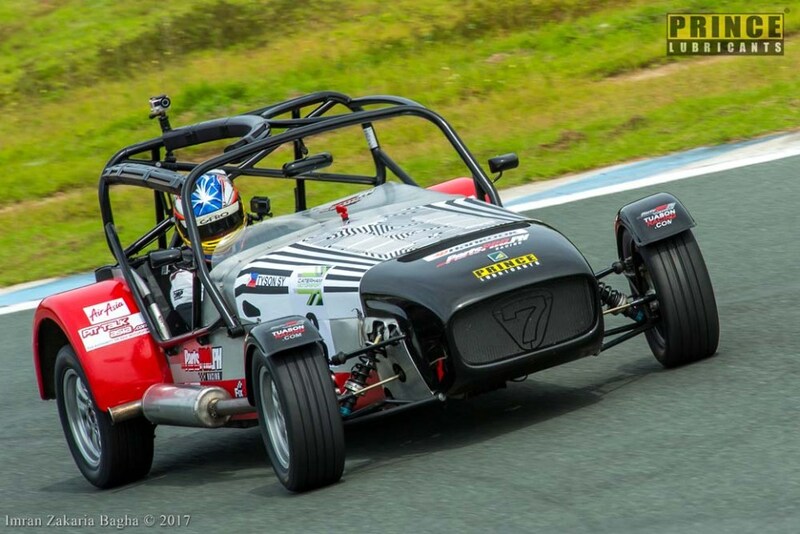 It must be noted here that while the FMSCI issues various rules and regulations for various types of motorsporting events, the actual event is organized by various organizers. Such organizers draw up a SRs (Supplementary Regulations) which contains details of the event that is being run, including the program, the classes allowed, names of officials etc. The SRs are gone through by the FMSCI, which approves the same. The FMSCI appoints the various sporting and technical officials to ensure that the event is run in a safe, fair and orderly manner according to the rules and regulations of the FMSCI. There are various status of events viz.